The Summer is coming up and everyone is starting to plan their travel arrangements. 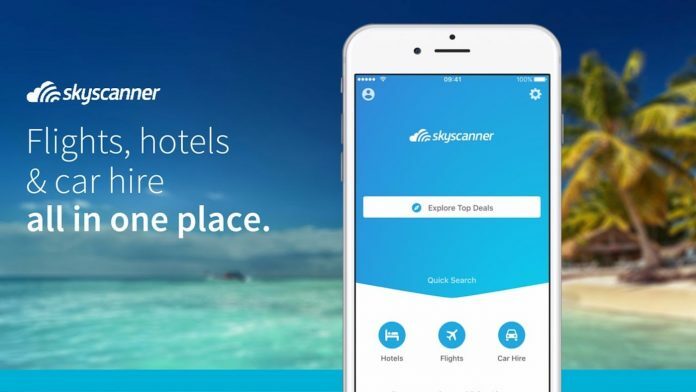 Today, we introduce one of the best apps in Travel; Skyscanner. In the old days, travel agencies used to book everything from A to Z. Now, it is much easier and hassle free to book your own plan. No special expertise is needed to book hotels, flights and even car rentals. However, once you start traveling a lot, the need for a one stop shop for booking your whole itinerary is needed and you have to find them in one app. We prefer Skyscanner as it has all the functionality that we need to book simple and complex trips as well. Check it out now on the Appstore; iOS or Android. The app itself does not book your flights but when you search for your flights and click to book, the app takes you through directly to the airline. It has no hidden charges, no added fees. So you get the best deals every time by comparing millions of flights to find you the cheapest deal instantaneous. So we got introduced to Skyscanner in 2010 while we were spending Summer in London in June of 2010. We wanted to visit Scotland and were looking for cheap flights out of London. Although, we took the train in the end, but we found Skyscanner to be better than most of the apps/websites available because it had most the budget airlines listed. Now, that is an awesome feature because if you are a frequent flyer loyal to one airline, you should always keep a backup airline in case your primary one is overpriced. In our experience, we stick to one airline to keep the loyalty and status with all its benefits but always have a backup low budget airline handy. And this is where Skyscanner comes in showing all the different itineraries with different categories of airlines. The next best thing about it is the Price Alerts. 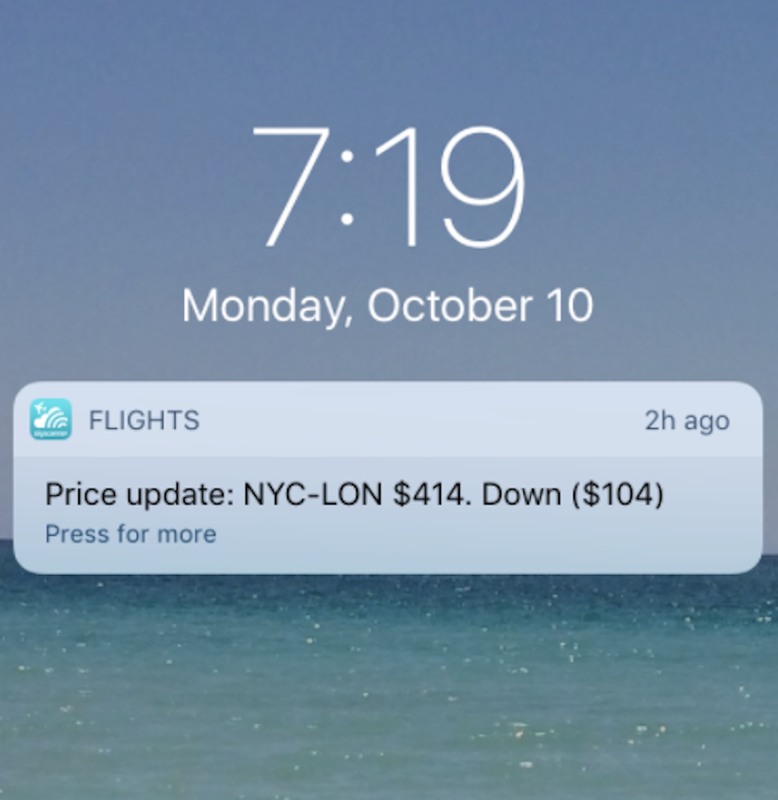 If you know your estimated travel dates, just set up a reminder that keeps notifying you every time the price of the flight(s) changes. You will save hundred of dollars just by waiting till the right time and clicking through the app! Instant notifications about specific flights with your savings! Imagine flying with a big family as ours how much money you would be saving by monitoring the price of your desired flight as it goes up or down. 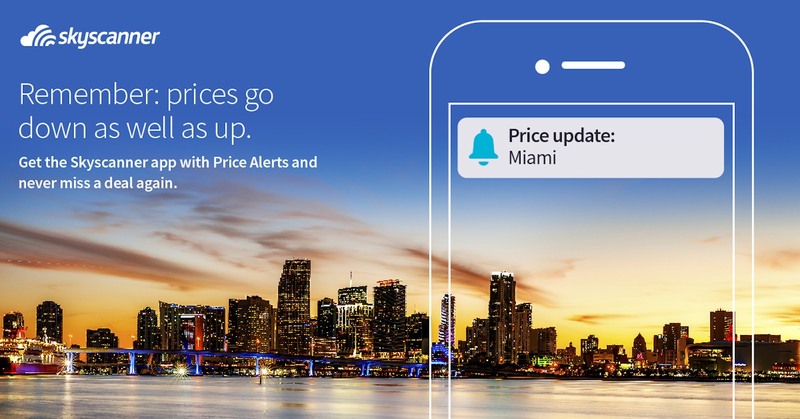 You can also set it up to give alerts by destination, like the next cheapest awesome trip to Miami with your friends! Another excellent perk that is not available in many apps is Multi-city destinations. You can book many back-to-back flights and have your whole itinerary covered with the best deals. Just enter all your dates and airports and the app will do the rest. 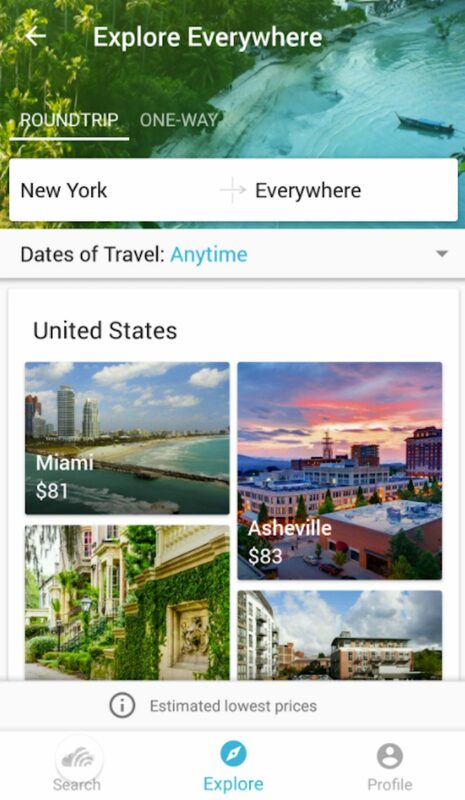 Multi city search is one of our favorite features. The last thing is the Exploration mode. You’re free the next weekend but don’t know where to go with your budget. 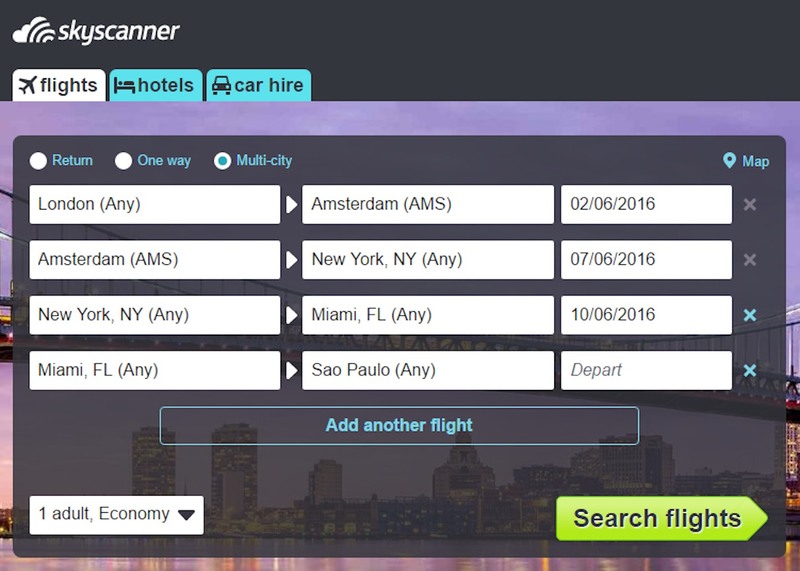 Just start exploring destinations from your home airport and let Skyscanner do the rest. Still the awesomeness of Skyscanner comes in all the deals they have! Savings from thousands of airlines combined to make you the ideal itinerary for you and your family and friends is something that makes us loyal to using Skyscanner in every trip. Try it for yourself now, it is completely FREE! Download the app for iOS or Android now and start exploring and saving at the same time. This is a Sponsored post but the content and opinion expressed here are my own.